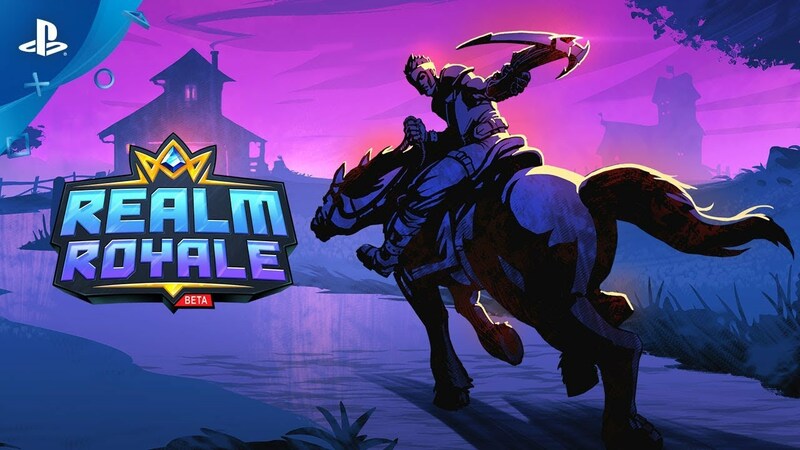 Be the last Champion standing in Realm Royale! Can you survive the first fantasy Battle Royale? Choose a class. Forge your legend. Are you an Assassin, Warrior, Hunter, Engineer, or Mage? Choose a class, then loot deadly weapons and powerful abilities to create your own Champion. Outplay enemies by using your class's unique powers. Soar through the air and throw fireballs as a Mage, or deploy turrets and barricades as an Engineer. Go traditional with shotguns and snipers, or embrace the fantasy with swords and crossbows. If you want to win, you’ll need to craft Legendary Weapons at Forges scattered across the Realm. But be careful: While you’re crafting, your enemies may attack. Mount Up. Explore the Realm. Journey through lush jungle, castle keeps, and fungal forests. The best part: you don’t have to walk around this massive Realm. Summon your mount to outrun the fog and ride to your next battle! trademarks of Hi-Rez Studios, Inc. in the U.S. and/or other countries. All other trademarks are property of their respective owners.